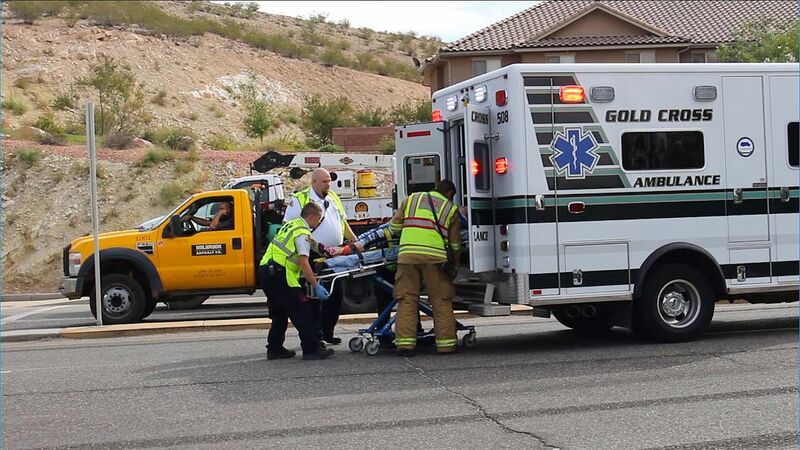 ST. GEORGE — A left turn led to an accident on River Road in St. George Tuesday morning when a Ford Explorer collided with a pickup truck owned by Sunroc Corporation. The Explorer was traveling northbound on River Road, waiting to make a left turn on Brigham Road, St. George Police Officer Jamison Hale said. The driver of the Explorer failed to see the southbound pickup and collided with the left front of the truck. The pickup truck, however, continued through the light and was struck by the Explorer, Hale said. The driver of the Explorer was taken to Dixie Regional Medical Center in St. George. Hale said the driver was placed on a backboard for transport, and he did not know her condition at the time of the interview. The Explorer driver will be cited for failure to yield, Hale said. Both drivers were wearing their seat belts. 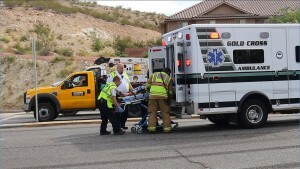 Units from the St. George Fire Department and Gold Cross Ambulance also responded to the accident. But were they wearing helmets?